Working closely with a healthcare-focused agency partner, Brand Llama developed multiple websites to support GE Healthcare's growing imaging technology product lines. 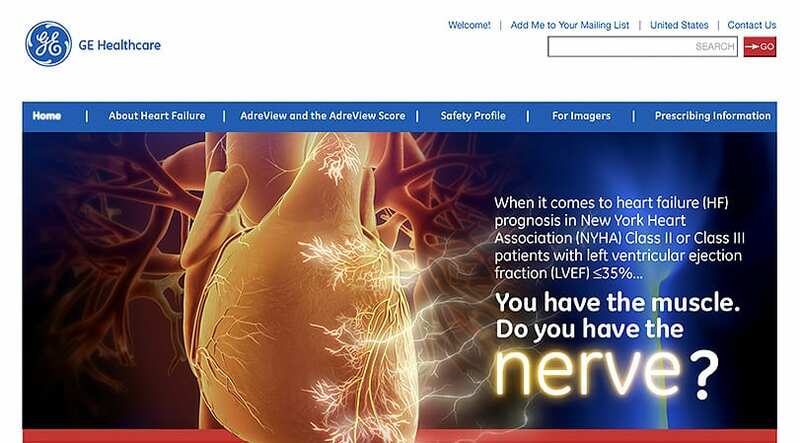 The websites provided valuable information to healthcare providers, imaging technicians, and patients eager to learn about new methods for imaging. 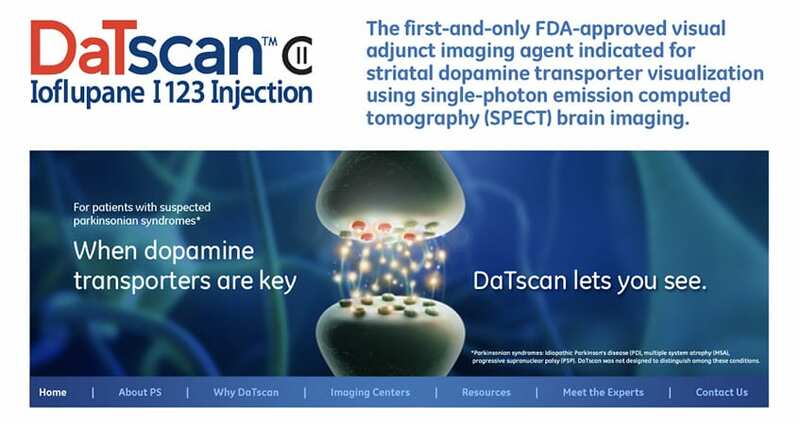 DaTscan is a targeted imaging product that focused on discovering parkinsonian syndrome or essential tremor within patients. The information provided in the site helped three unique audiences better understand the product and its breakthrough in PS assessment. AdreView helps measure sympathetics responses within the heart, as a tool to help understand and predict heart failure. Detailed technical information was necessary to help communicate the complexities of the product. 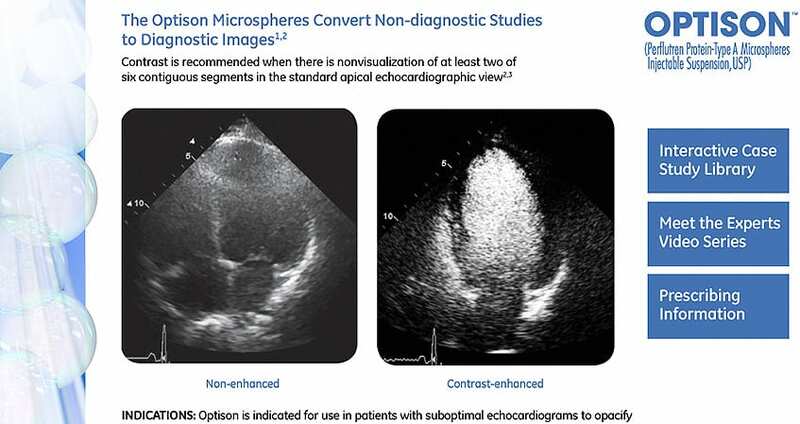 Optison is an advanced imaging agent the helps increase contrast in echocardiograms of the heart. The website focused on examples of echocardiograms with and without the product to showcase its abilities to improve visualization. Measuring neuritic plaque density is an essential tools for determining the impact of cognitive disorders, including Alzheimer’s disease. 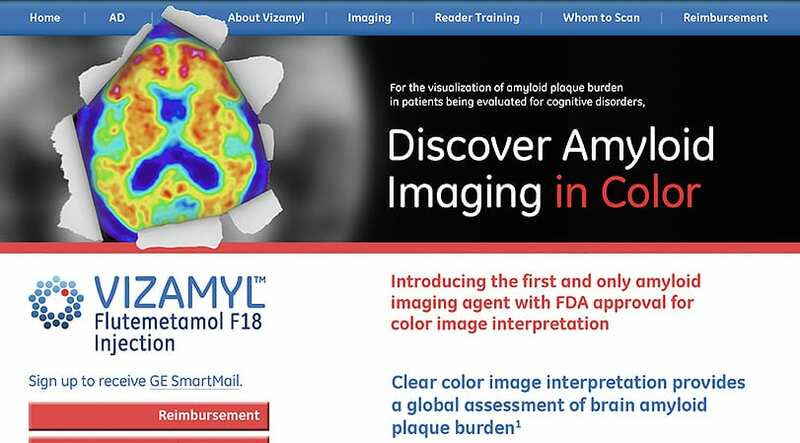 The Vizamyl website focused on the improved color image interpretation that helps determine the potential for Alzheimer's in a patient.